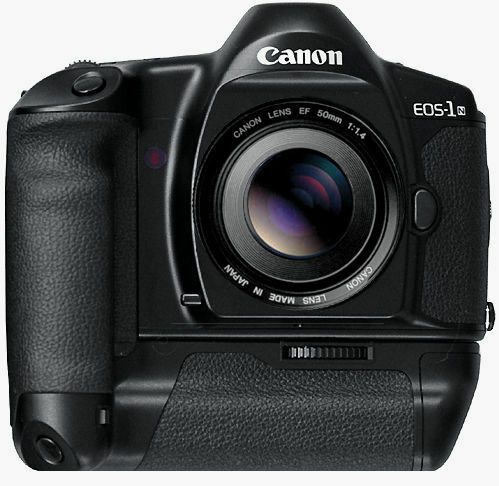 Ok, it's not digital, but it is a Canon camera. And "Why? ", you ask. Well, if I wanted to continue to use film, which I like and have two shelves in my refrigerator dedicated to storing, I didn't want to carry around two camera systems, the Minolta manual focus system and the Canon digital system, especially when I duplicated the five lenses I use the most. So I found a good deal on an near-new 1N body with battery pack. My impressions? I wonder why I stayed with Minolta for so long, but in defense of that system, it's still cool to use, so it will still get some use while I sort out where my photography is going. After an afternoon with the 1N I still hadn't figured it out, all the choices and custom features, but I'm very impressed with it along with the digital, and it gives me the chance to make same scene (at the same time) comparison along with my LF camera system. I haven't finished my first roll of film yet, but it's just time as I can use the digital for the bulk of the work and the film for those images I want along side the digital and/or 4x5, and it will help with the 4x5 when I do the film tests. And the sun comes out with the spring weather. For the most part I'll use the 1N similar to the 5D, in aperture mode and evaluative or spot metering modes. And to those that are asking, "Why does a part-time serious photographer need so much technology with these cameras and highend lenses, especially when he uses them in more simplistic modes almost like film cameras?" That's a fair questions, which I had hoped I'd answered in previous columns, but to explain things a little more would be helpful? The answer is fairly simple for the 5D. It does everything I can do in film and more so. It doesn't limit what I photograph, it's a matter of learning the camera. The 1N was another matter, but simply put, it's the top Canon film camera after the 1V and a great deal as prices have dropped so much with film cameras. Again, there isn't anything I want to do it won't do, and if there is, I still have the Minolta system which has trememdous capabilities with what I have. In short, the only limitation is my imagination, motivation, and skills - talent, knowledge and experience, and what could be better than that?